Now that the holidays are over, many of us are settled in for the winter. 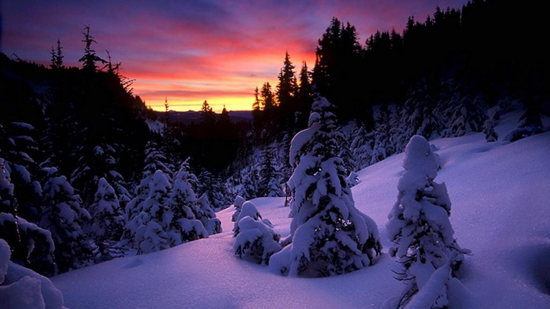 It may be cold and snowy, but it sure is beautiful! 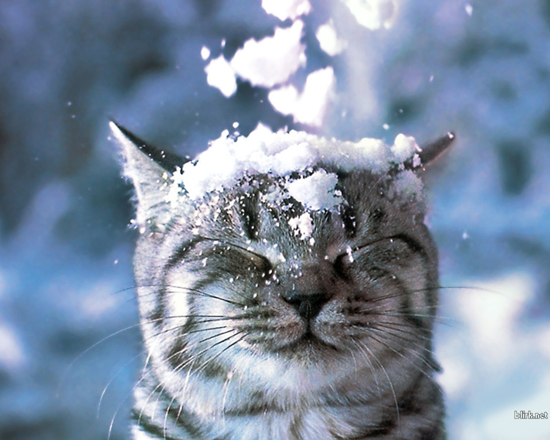 My Favorite Things has many fantastic products featuring snow in the forecast. 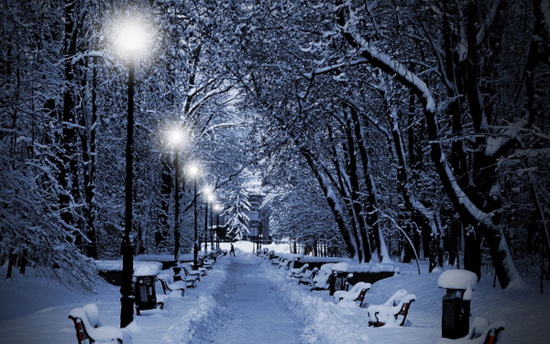 Let's take a look at some awesome snowy projects! 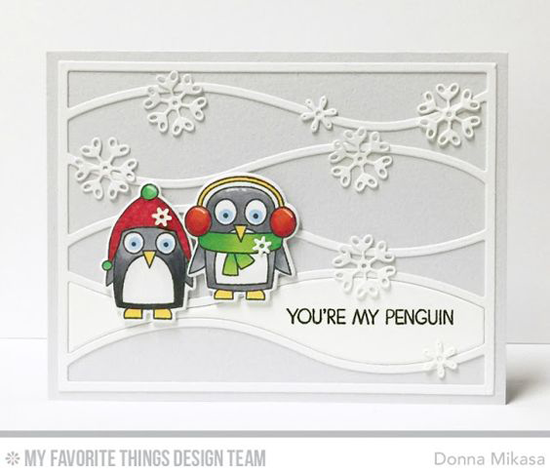 Two cute penguins are ready for an afternoon playing in the snow on this sweet card from Donna! 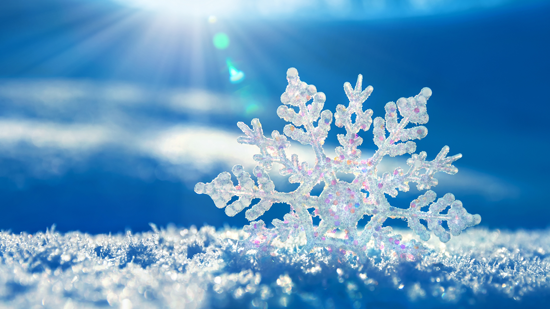 The Horizontal Snow Drifts Cover-Up and Stylish Snowflakes Die-namics add to her delightful design. It may be cold where you are, but just think how a cheery card like this one created by Kimberly would warm a friend's heart! The sweet little girl from the Warmest Wishes stamp set is just the ticket for snowy designs. 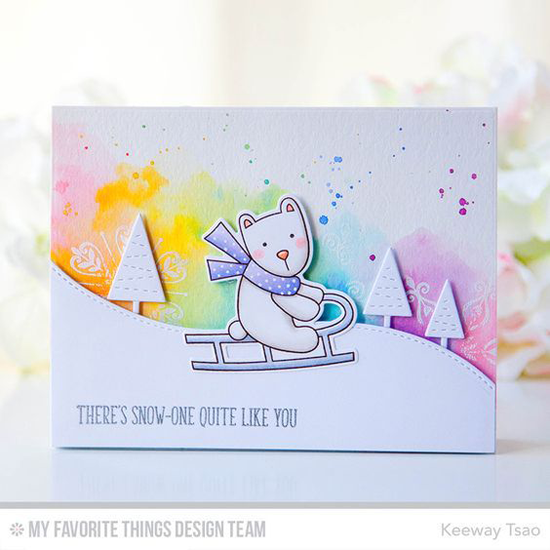 One adorable bear (from the Cooler with You stamp set) on this design from Keeway will sled right into your heart. 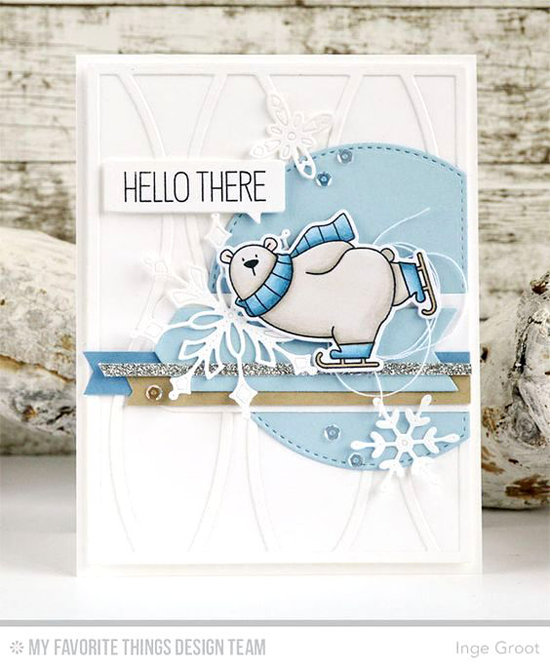 Her use of the Hit the Slopes and Winter Trees Die-namics makes for a fun-tastic and colorful wintry design! A yummy drink will warm you up in the dead of winter. 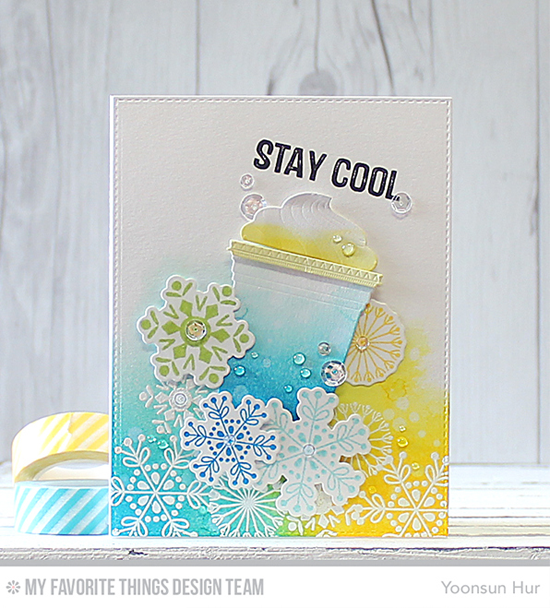 And what a dynamic design this is from Yoonsun featuring the Cool Cup Die-namics and the Snowflake Flurry stamp set and Die-namics. Inge went for a classic winter color combination with a focus on whites and blues with a touch of sparkle. So many delicious details dot her design — from the Horizontal Snow Drifts Cover-Up (turned on its side) to the polar bear skating between the pretty Stylish Snowflakes! 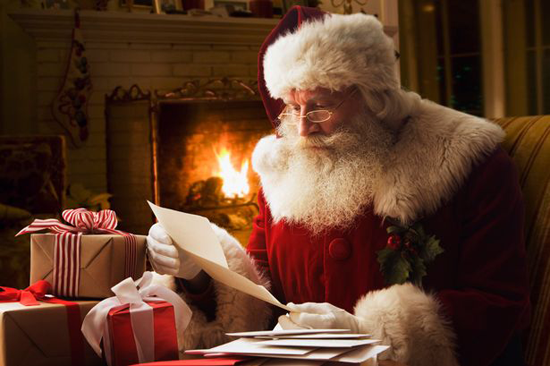 Before you go, take a look at a few of the snow related things you can buy at the My Favorite Things online store! Simply click on the photo to be taken directly to the product. If the product is currently out of stock, you can sign up for an email notification once it's back in stock! 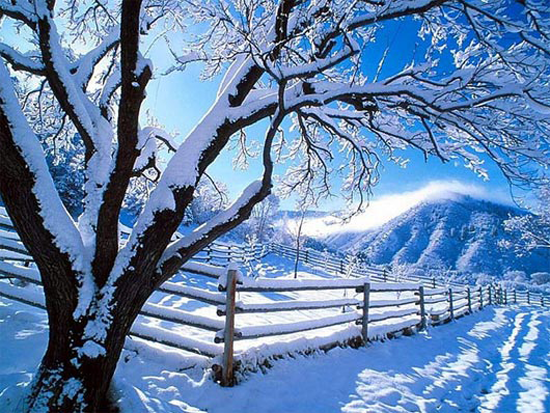 Wow such beautiful snowy images - the snow does look gorgeous - here in SE Qld, Australia where it's 35 degrees atm I could do with a little winter chill lol. Equally gorgeous inspiration from the DT. Great theme-very appropos- how do I get to the link to upload my card? No actual challenge here for an upload this time! Just a little nudge of what you can create! Tag #mftstamps on Instagram so that we can see what you've made!